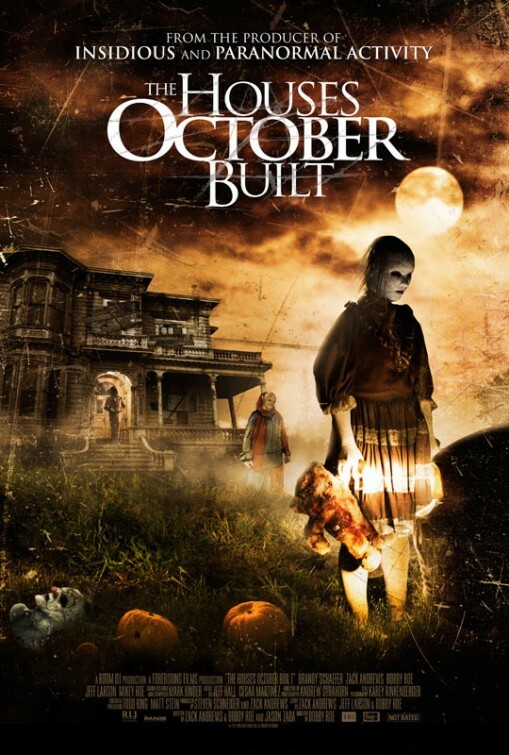 There is a creepy sense of realism in The Houses October Built which will unnerve many a viewer. This movie could well have been staged as a documentary, using talking-head interviews, first-hand experiences and then coming to a valid conclusion of the overall findings. There are elements of that here but writer and star Zach Andrews decides to add some traditional horror too. The documentary portion is focused on the “scare-events” in America which are organised during the Halloween season. Six friends decide to get into their large, very impressive RV and drive to each of these different, more extreme scare location and try to find the best experience. It is an interesting set-up and had this been all the movie was, would still have made for a compelling watch. The aspects which shock here is how real the experiences are and how far people are willing to take them. The interviews portions are fans or proprietors explaining how they would “do everything but kill a person” to get the scare they want and some people actually asking for that too. Add to this the group going through the experiences, with hand-held cameras in a “Found-Footage” style and you have a first-hand experience of what these events entail and how scary they can really be. It is the extreme nature of these places, which actually exist of course, that makes the first act of this movie so interesting. Andrews adds some more traditional horror to the proceedings when the group come across a creepier, more “underground” experience which requires some leaps of faith on their behalf. Although the horror is slightly more traditional, it makes it no less effective. 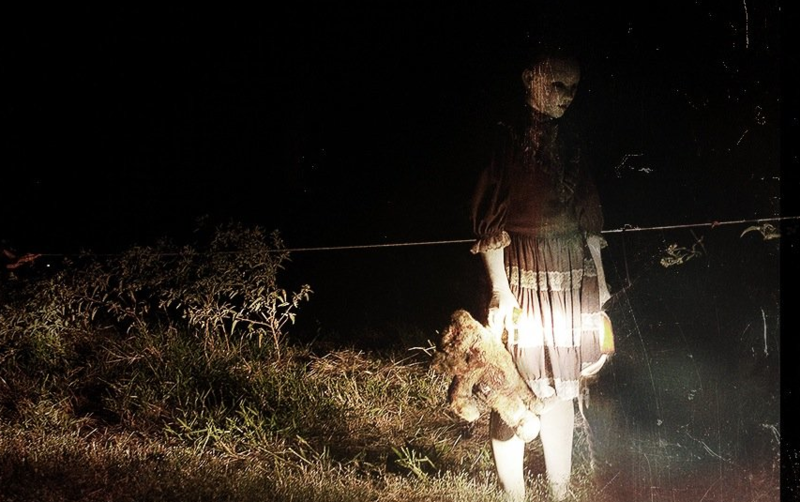 From a creepy girl with a doll’s face who just screams rather than communicates to a terrifying man in a bunny outfit, there is plenty here to scare the casual horror fan. The tension is built-up effectively and also adds layers to the horror, constantly questioning whether what these people are experiencing is “real” or just for entertainment. It will also get the audience to consider how far they would go. The group make choices at each point, go back to safety or see how far the “experience” will take them, and there will be times when you question their choices and maybe compare them to your own decision making. This all comes to a somewhat traditional horror conclusion depending on how you view the finale. For some, this will be standard horror-fare and they will be feel gratified if slightly underwhelmed. For others, the conclusion is less clear-cut and the more ambiguous nature will encourage more questions and maybe some afterthought once the credits have rolled. Overall, The Houses October Built works on various levels. It is a decent examination of “scare experiences” in America and how far they will go, it documents the experiences to a somewhat effective level and then ties this into a traditional horror movie. Some elements work well, others less so but for a decent scare experience of its own, there is a lot to gain from watching this. The ending may encourage further thought after the credits have rolled.